Public Act 224 of 2010, effective December 10, 2010, which is applicable retroactive to January 1, 2010 enacts legislation that creates a rebuttable presumption that a will, trust, or beneficiary designation by a decedent who died after December 31, 2009, and before January 1, 2011, refers to the federal estate tax and federal generation-skipping transfer tax laws that apply to estates of decedents who died on December 31, 2009. The will, trust, or beneficiary designation must either contain a formula referring to any section of the Internal Revenue Code of 1986 relating to the federal estate tax or generation-skipping transfer tax or to certain specified terms or measure a share of a trust, estate, or beneficiary designation by the amount that can pass free of the federal estate tax or generation-skipping transfer tax. 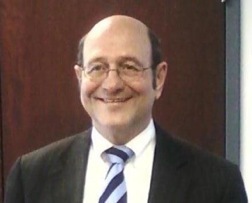 The presumption does not apply to a will, trust, or beneficiary designation that is executed or amended after December 31, 2009, or that displays an intent to use a different rule if the decedent dies on a date on which there is no then-applicable federal estate tax or generation-skipping transfer tax.